Veterinarians from the University of California, Davis, have discovered that cats with calico and tortoiseshell coat patterns tend to challenge their human companions more often than other kinds of felines. It seems you’re in good company. Veterinarians from the University of California, Davis, have discovered, in recently published research, that cats with calico and tortoiseshell coat patterns tend to challenge their human companions more often than felines whose fur is less flashy. The research backs up long-standing observations among veterinarians that such cats often are “difficult,” said Dr. Elizabeth Stelow, a behavioral expert in the UC Davis Veterinary Medical Teaching Hospital. Her study, based on a survey of more than 1,200 cat owners, found that calicoes and torties are more likely to hiss, chase, bite, swat or scratch during interactions with humans. The UC Davis data also suggest that cats with gray and white, and black and white coats are slightly more likely to engage in those behaviors, a finding that surprised researchers. Cats sporting other colors, including solid black, gray and white, display aggressive personality characteristics significantly less frequently, according to the study, published in the Journal of Applied Animal Welfare Science. The online survey, posted on a social-media site, did not reveal the study’s focus. It simply asked cat owners questions about their feline’s behaviors, and requested that they choose a color category and written description that best fit their pet. Calicoes and torties have reputations for being feisty and unpredictable, characteristics that the study appears to confirm. Calicoes are mostly white with patches of orange and black. Tortoiseshells have coats that feature a constellation of black, brown, amber and red patches. Because two X chromosomes are necessary to produce their coloring, the vast majority of both types of cats are female. In the UC Davis survey, cat caretakers used a scale from 0 to 5 to assess the frequency of behaviors such as hissing and biting. A complex data analysis of answers to the survey found statistically significant differences between the frequency of such behaviors in “orange females” — including torties and calicoes — and most other cats, Stelow said. She said the research suggests that the same genetics that dictate coat color may play a role in aggression, but that more study needs to be done to explore that theory. The study is believed to be the first to look at specific behaviors related to coat coloring. 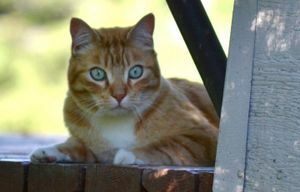 Although it had some limitations, including the fact that researchers relied on the observations of cat owners and never observed the felines in question, the research offers insights that warrant further investigation, said Stelow. “We thought the findings were very interesting, and we would love other researchers to take the baton and run with it, to look at the genetics of why this may be happening,” she said. Stelow, who authored the study with veterinarian Melissa Bain and data analyst Philip Kass, said the findings should not discourage people from adopting a tortoiseshell or calico cat. “I have a crazy calico myself,” she said, along with an orange tabby. Both are great companions, she said. Aggression in cats, Stelow noted, rarely is violent. “It’s very different from dogs. Dogs show a very, very wide range from not aggressive at all to capable of killing. The overwhelming majority of cats are not the least aggressive,” and those that are usually display it in “very subtle ways,” she said. 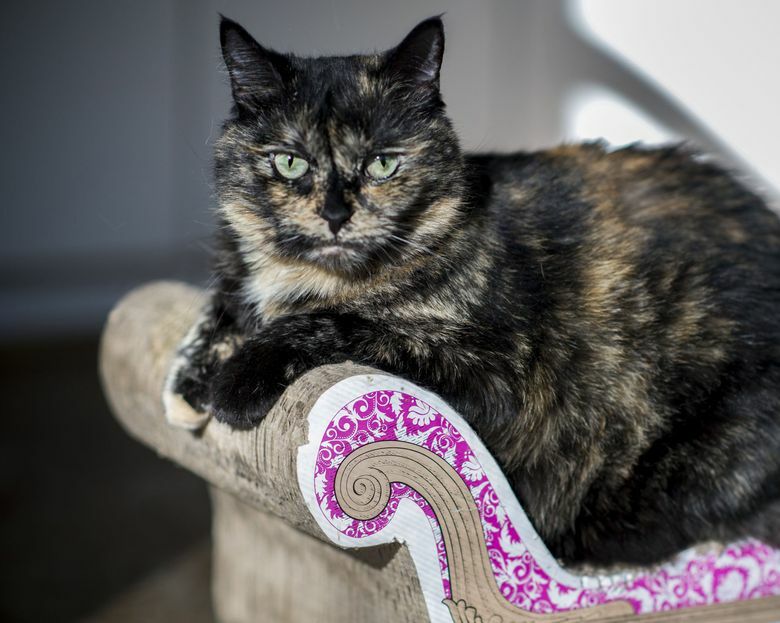 Doty, a cat rescuer and founder of the nonprofit LapCats, which works with Sacramento County’s Bradshaw Shelter to find adoptive homes for felines, generally describes calicoes and torties as the “divas” of the cat world. “But I truly believe that there’s somebody for everyone,” she said.